He lowers his voice and whispers “shahtoosh”, then carefully unfolds the firmly knotted package of a cloth he has just removed from his counter. Shahtoosh … The taboo word, which threatens to extinguish the chiru, the wild Tibetan antelope, since it is hunted and slaughtered for its down. Shahtoosh? Come on: in this Kashmiri shop for tourists from Jaipur? 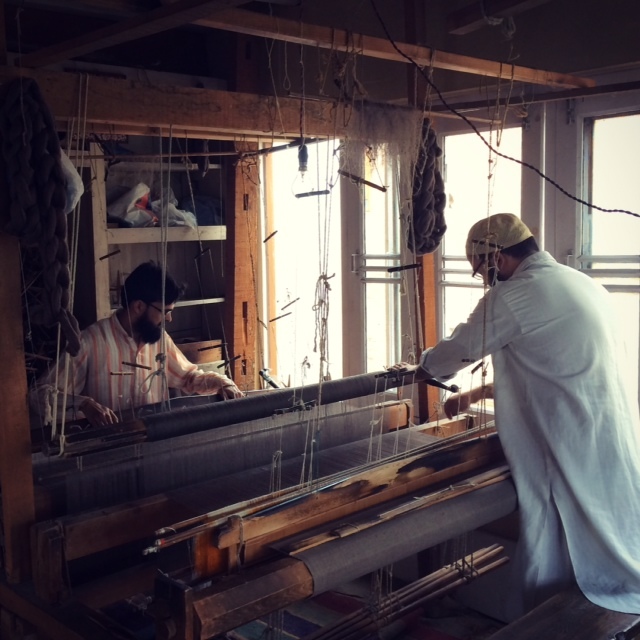 For centuries shahtoosh has been woven in Srinagar, Kashmir, and despite the prohibition of sale, it still is. 1 – the shahtoosh is rarely pure. 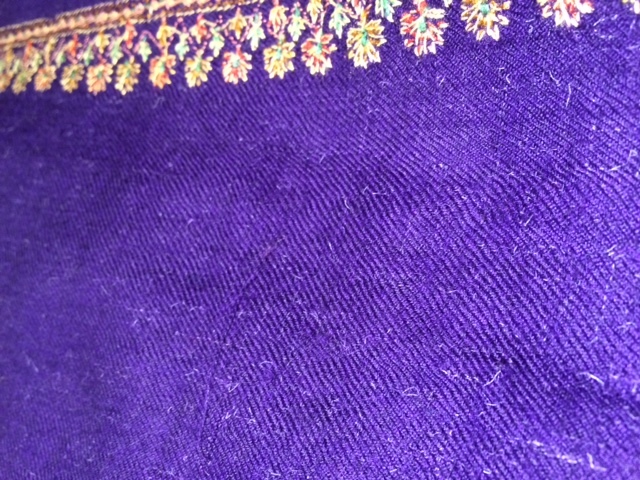 It is mixed at 75 or 50% with pashmina. What’s more, you have a 99% chance of falling on a fake. 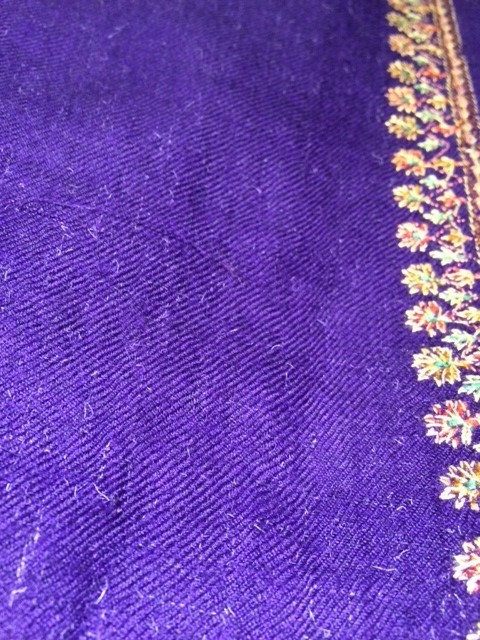 At best it will be a pashmina mixed with thick chiru hair (thick and shiny fibers). 2 – The shahtoosh is incomparable. Under the Mughal Empire, it was the shawl of kings. Its price and its rarity came from the mode of obtaining the fiber: the Tibetan antelope being a wild and fearful animal, it was necessary to collect its down in the Himalayan mountains, on the bushes where it came to rub. Nothing is finer, sweeter, or warmer than a shahtoosh shawl: certainly the touch is a little lighter than a pashmina shawl. 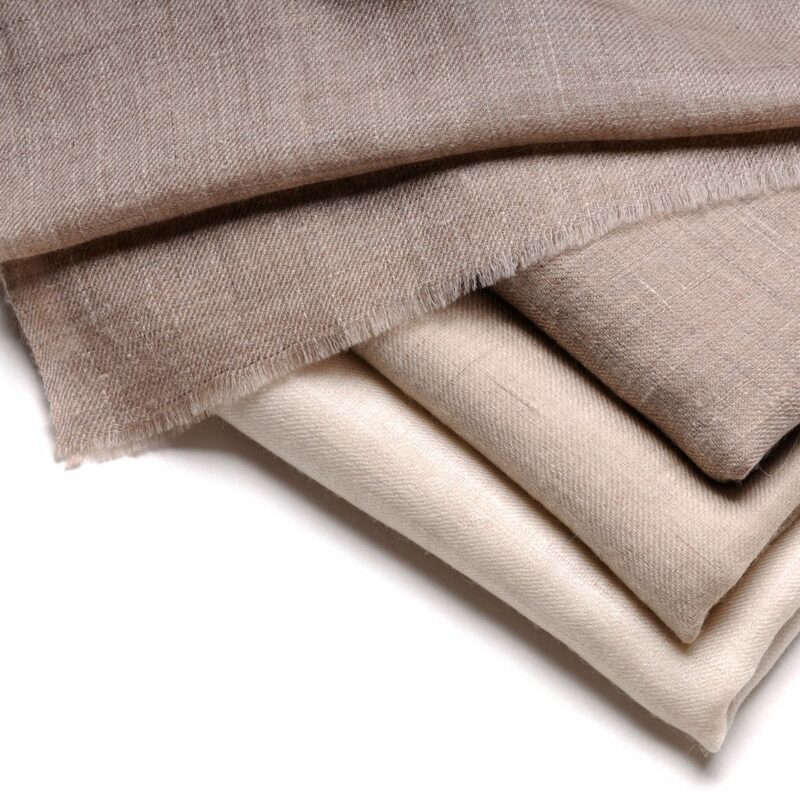 The dyes always altering the quality of the fibers, it is always woven in natural down: its hue varies from beige to ecru. 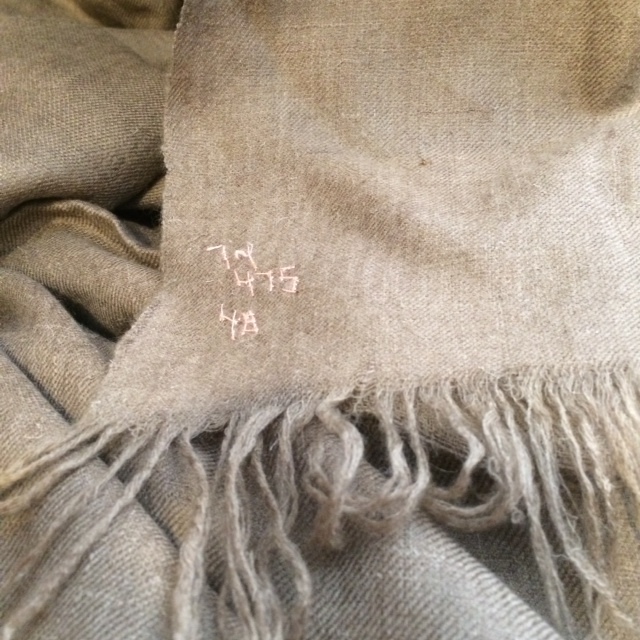 A shahtoosh looks a lot like natural pashminas, like the real pashmina shawl 100% pure cashmere natural beige. 3 – The shahtoosh is very very expensive. Yes, even in India. Price manufacturer in Srinagar: 60 000 RP is 850 €, or 2000 € for white shahtoosh, more rare. In a shop in Delhi it will be sold at least double, and this illegally. 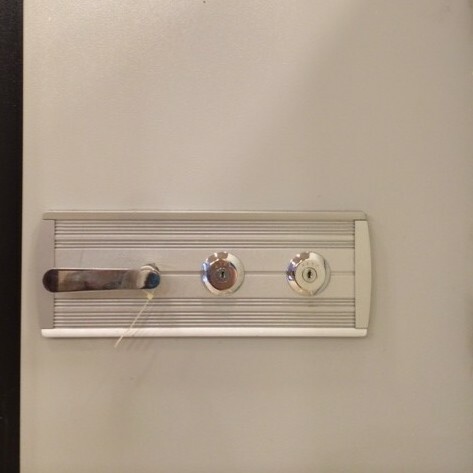 4 – For this reason the shahtoosh never hangs under the counter, even preciously wrapped. He sleeps in the safe, yes, yes, in the safe. But then this Kashmiri seller would he be lying …? Of course the manufacturer who tells me that obviously preaches for his parish. In reality, to obtain the amount of fluff necessary for the weaving of a single shawl, 3 to 5 Tibetan antelopes are slaughtered, which explains why the population of these animals has passed in the space of a century of over a million less than 75,000 individuals. Endangered by extinction, the Tibetan antelope became a protected species in 1979, while in the same year the shahtoosh trade was banned internationally. So we summarize. To protect poaching of the Tibetan antelope, which is slaughtered for its down, the shahtoosh trade is banned all over the world. Anyone who buys or sells it is punishable by a fine or even a prison sentence. However, given the demand, they are still woven in Srinagar, then sold under cover in India or in major shopping centers in the Middle East. At Princess Moghole, we are committed to protecting animal life, which is why we have chosen to offer you an eco-friendly equivalent of shahtoosh: the TOOSH Pashmina. It is woven in the same way as the shahtoosh, but with the finest “pashm” quality from the Himalayan goats, by artisans renowned for the excellence of their weaving. This exceptional product is produced in small series, and according to the confidences of the artisan, sold for shahtoosh (and at the same price!) by unscrupulous traders. 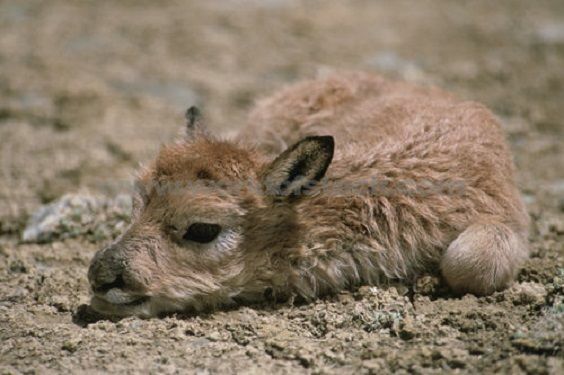 Hoping that the Tibetan antelopes will be able to sink quiet days all up there in the Himalayas … Here is a baby chiru, is not it adorable? Previous PostOutfit of the day : the hand embroidered blue cashmere pashminaNext PostHow to recognize a fake pashmina on the internet : the foolproof method!